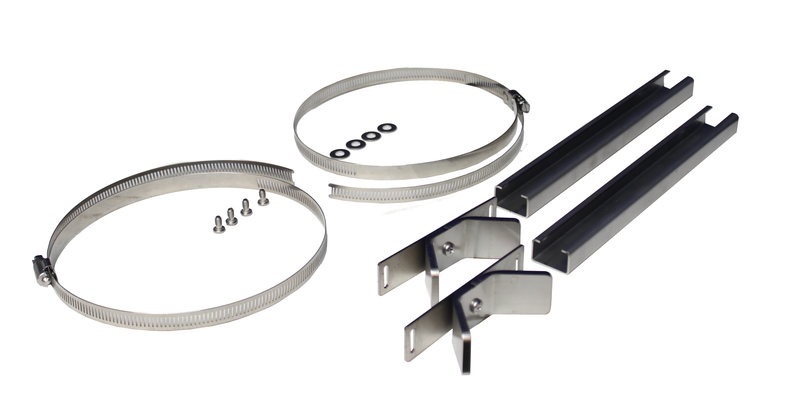 we have expanded the accessories for the ARCA JICs to meet the needs of our clients. May we present the APMK- pole mounting kit. This versatile pole mounting solution was designed for our clients needing an easy to use mounting option in various established locations. Fitting poles of various materials, shapes and diameters (from 2-9 inches in diameter*), the APMK is made from corrosion resistant 300 series stainless steel, and provides an easy, set it and forget it installation. To get more information contact Fibox. View the installation video and see how easy it is! * for diameters above nine inches please contact us at Fibox for additional options.